Joaquin Phoenix will be the next actor to play the iconic villain. What once was rumored is now actually happening. Joaquin Phoenix has closed a deal to play the Joker in a spinoff origin film that’s separate from the other DC Universe films. No release date has been set and it’s expected to have a budget in the $55 million range. That’s relatively cheap when it comes to superhero movies but this is being approached as more of a gritty crime drama than a big superhero movie. 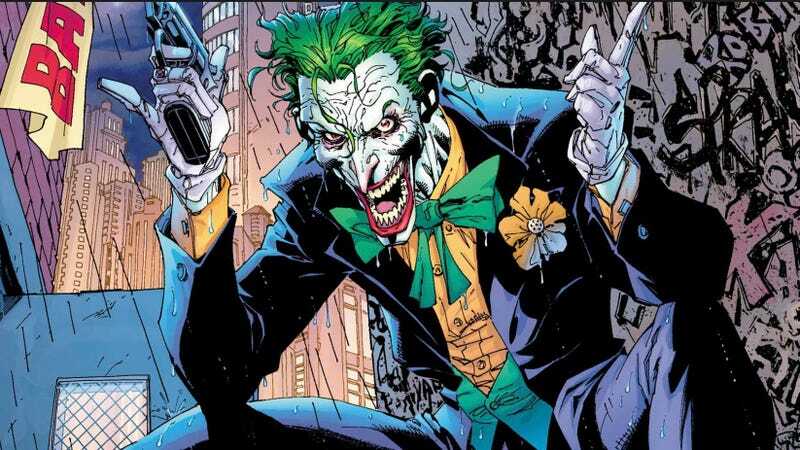 And yes, the Jared Leto Joker movie is still in development. It’s unrelated to this. Leto’s Joker is expected to take place in the world of Justice League and Suicide Squad. While the shock of this news is tempered by the fact we expected to happen, the timing is certainly curious. You can’t ignore that Warner Bros. has two hours staked out next weekend at San Diego Comic-Con, and it seems fairly logical we’d learn more about this film then.